Prepare for a lot of speculation! It looks like Ready at Dawn, the studio behind The Order: 1886, is gearing up for a new title. In February, the studio posted a number of job listings, and though the listing themselves don’t give any indication of what they might be working on, the main careers page of their site has some hints. Ready at Dawn says they are currently at various stages in development on three endeavors. One is a “new AAA third-person action console title, based on a brand new original IP.” This may get some fans excited for The Order: 1887 or similarly titled The Order: 1886 sequel, but note that the description says “brand new original IP.” Unless there is some deception going on in the job description, it looks like Ready at Dawn has moved past The Order: 1886 for the time being. The other two projects that are being worked on (at least to public knowledge) are “the expansion of the award-winning Echo universe through our ongoing partnership with Oculus” and further development on Deformers for its China launch. While some might associate Ready at Dawn with Sony, they have actually worked on a number of projects outside of the PlayStation ecosystem. After The Order: 1886 launched three years ago, they moved on to develop Deformers across multiple consoles, and Lone Echo, an Oculus exclusive title. Ready at Dawn also recently changed its Twitter picture to a new simple grey version of their logo, complete with the circular streaks running through it. Those markings are consistent with their golden logo While it could mean nothing more than they wanted a new look, marketing decisions like updating a logo on social media are usually targeted and planned events. Take it with a grain of salt, but it’s possible we’ll soon get a reveal of what major project Ready at Dawn has been working on since The Order: 1886 released. 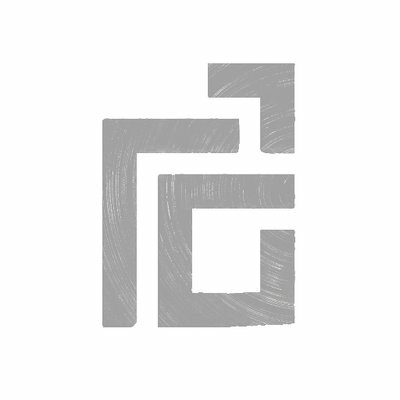 Ready at Dawn’s new Twitter image looks like a flat greyscale version of their usual logo (seen above). Given Ready at Dawn’s history with Sony, the chances are high for their new third-person action game to come to PS4, but there’s every possibility it won’t be a console exclusive this time around. If you’re looking to a sequel to 2015’s The Order: 1886, Ready at Dawn has previously talked about expanding the universe, saying that too much work went into the game for it to be a single title. Shortly after it launched to middling reviews, a Ready at Dawn dev said they were committed to making a better game next time. Do you want to see the Ready at Dawn next game revisit The Order’s universe to finish telling that story, or would you like it to be a completely new title?